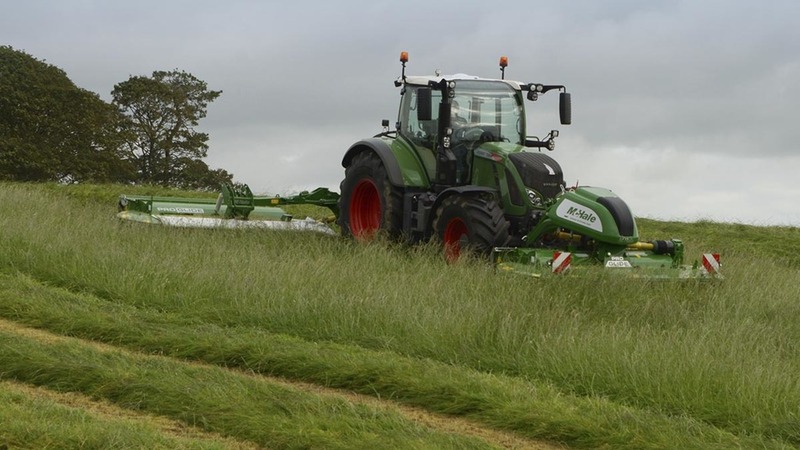 McHale has expanded its grassland equipment to include a mower range. Jane Carley talks to a contractor who purchased one of the first on the market. McHale’s Pro Glide mower is available in a number of configurations including a front/rear combination giving a cut width of 6m. Based on the firm’s reputation for reliable equipment, Cumbrian contractor Tim West was willing to take a punt on McHale’s new mower range. 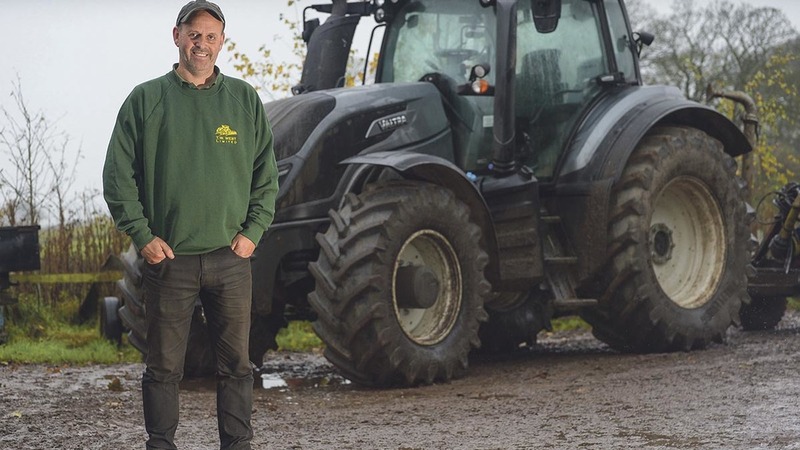 T W West offers a wide range of services from its base near St Bees, Cumbria, including high output forage harvesting with two self-propelled foragers and a pair of forage wagons. Mowing is carried out with front and rear combinations and Mr West comments that he had keenly awaited the launch of McHale’s first mower, the Pro Glide range. Contractor Tim West is one of the first to purchase the mower, an expansion of the range from McHale. 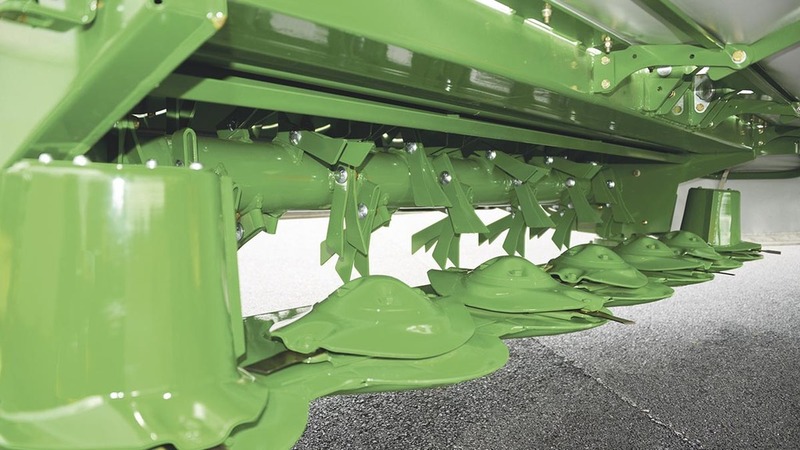 He adds that although he runs square balers rather than round, there are plenty of McHale Fusion baler/wrappers and fixed and variable chamber round balers that the Irish manufacturer has become renowned for in the local area. “I knew that other contractors were very pleased with the build quality and performance of the McHale products, and I hoped this would be the case with the mower. Cutter bar design features a rounded low profile front edge to glide smoothly over the ground, and a steel tine conditioner is standard; power is transmitted from the cutter bar to the rear of the mower to drive its rotor. One slight disappointment was that the McHale B9000 combination mower, his outfit of choice, was not ready, so he purchased F3100 front and R3100 rear mowers to give a cut width of 6m. Mr West comments that the ground following ability of the mower was one of the first features that he noticed, coping well with the undulating Cumbrian grass leys. Mr West reports that the mower has proved to be extremely robust, needing no more than the odd replacement blade, despite covering some 1,900 hectares (4,700 acres) in its first season. Mr West adds that the conditioner gives good results and has stood up well to the workload, with the flat tines all present and correct at the end of the season. “It’s a very simple mower to set up and adjust if conditions change,” he says. “While one driver does the majority of the mowing with it, you can put anyone on it without problems. It’s useful in a busy season to have a mower that can be operated by different drivers. He adds his 183hp Valtra Direct easily handles the 6m mower with fuel consumption at about 10l/ha. McHale has been quietly keeping an eye on the Pro Glide through the season and modified the front mower linkage to the latest design, although it had not posed problems.